In our increasingly digital world, it is often forgotten that the educational revolution is only in its infancy. We were recently reminded of this a few weeks ago during BETT and FETC, two annual conferences that we were honored to attend. During BETT Show, we had the privilege of meeting educators, innovators and existing and potential partners from all over the world. The excellent feedback we received reminded us of one of the reasons we started CodeMonkey in the first place – to excite students about innovative technology and inspire them to create their own. A workshop that we held at BrainPOP’s stand in Bett showed educators how they can help kids make the jump from code literacy to code creation. During this workshop, we presented a sneak peak of our latest product – Game Builder. Sounds interesting, right? We can’t wait to release more information about it! Another conference we attended during this time was the FETC in Orlando, Florida – where we competed in the FETC Startup Pavilion alongside 18 innovative startups. This event places the spotlight on the newest entrants in the EdTech market, giving next-generation companies the chance to showcase their cutting-edge technologies and explain how their solutions can transform education in schools all over the world. During the first stage of the competition, each startup provided attendees with hands-on demonstrations of their product. Those who made it to the semi-finals participated in FETC’s PitchFest – where companies gave a five-minute presentation about their product. The remaining three startups competed in the final stage – where CodeMonkey won first place. 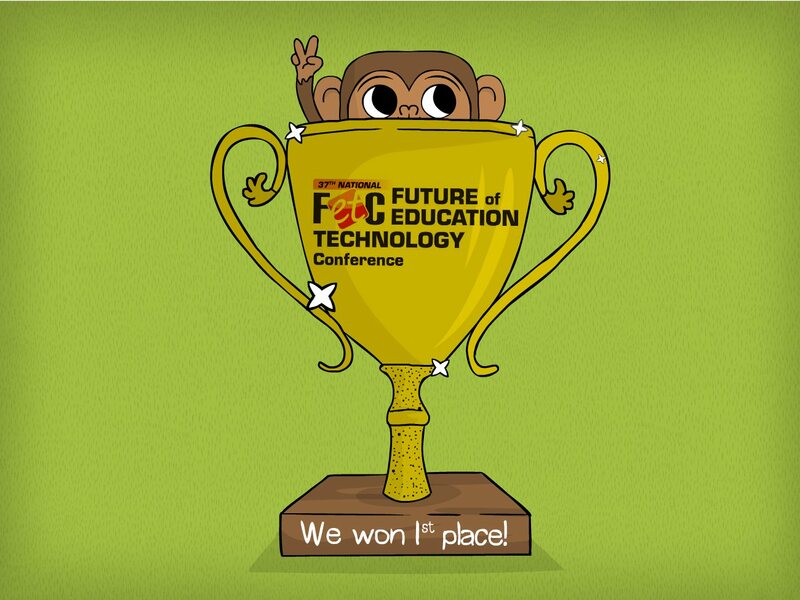 We would like to thank each and every one of you for meeting with us and voting for us, BETT and FETC were definitely worth the year-long wait! We loved meeting you guys and hearing your feedback – after all you’re the ones seeing CodeMonkey come to life in your classrooms. Next PostNext NOAH Startup Competition: Voting Open!